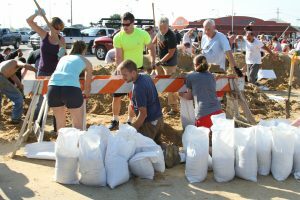 During times of natural disaster, United Way of East Central Iowa (UWECI) works with community partners to maximize resources in preparation, response, and recovery. September is National Preparedness Month, a reminder to be prepared for disasters or emergencies. Below are some tips on how to ensure you are ready if there is a disaster in your home, business, or community. Learn lifesaving skills, like CPR and first aid. Check your insurance policies and coverage for hazards like flood, tornadoes, and blizzards. Understand how to take practical safety steps like shutting off your water, electricity, and gas. Have access to important documents, like personal, financial, and medical information, to help your family begin the recovery process much faster. Most of us spend eight or more hours a day at work. Know the risks at work and how to respond. During times of disaster, crisis, or an emergency, United Way’s 2-1-1 program serves as a link between the public and emergency management personnel. 2-1-1’s Contact Center is available 24/7/365 to provide information, resources, and directions if you’ve been affected by a disaster. Learn more about how to find help at 211iowa.org. Linn Area Partners Active in Disaster (LAP-AID) is a coalition of organizations that look to increase resiliency and minimize the impact of emergencies and disasters. 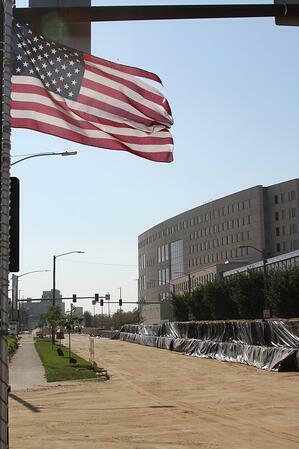 LAP-AID initially formed after the 2008 flood but continues to serve the community with organizations like UWECI, Red Cross, HACAP, and many others. Together, these organizations streamline efforts during emergencies to avoid duplication. Learn more about LAP-AID. Volunteers play an integral role during disaster relief and recovery efforts. Everyone can contribute in some way. Even before a disaster takes place, it is helpful to have a prepared list of volunteers ready to jump into action. Want to learn more or sign up to receive notifications when our community needs disaster volunteers? Sign up for a Volunteer Now Account and build a disaster profile. Acting now will help us mobilize volunteer resources more quickly during a time of disaster. Don’t have time now? Remember, Volunteer Now is a one-stop shop to find volunteer opportunities that help our community.